[February 3-9th, 2019] Ghost apples in Michigan, a dino that ate its own teeth, Henry VII’s marriage bed and the rest of the week’s weird news from Ripley’s Believe It or Not! Freezing rain in Kent County, Michigan, created an unusual phenomenon for farmers. 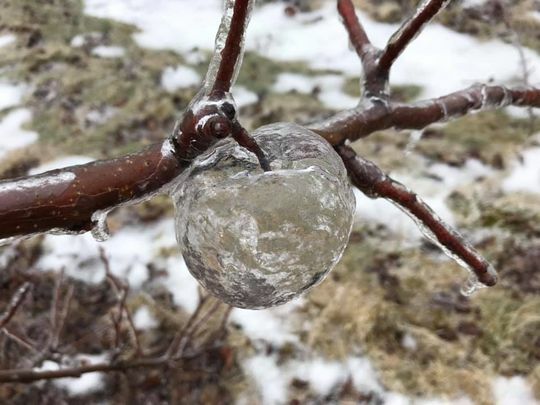 Andrew Steitsman came across what looked like apples made of glass. 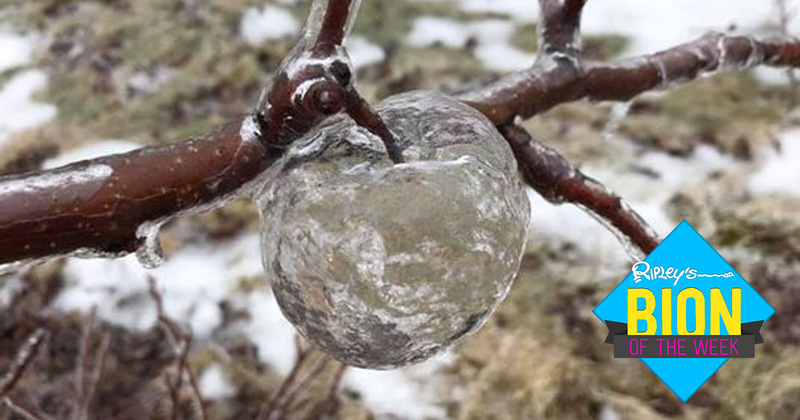 The shapes were formed when freezing rain froze around the apples’ outsides. When he shook the trees, many fell off, but a few sturdier ones only lost their insides, leaving a perfect ice sculpture on the tree. 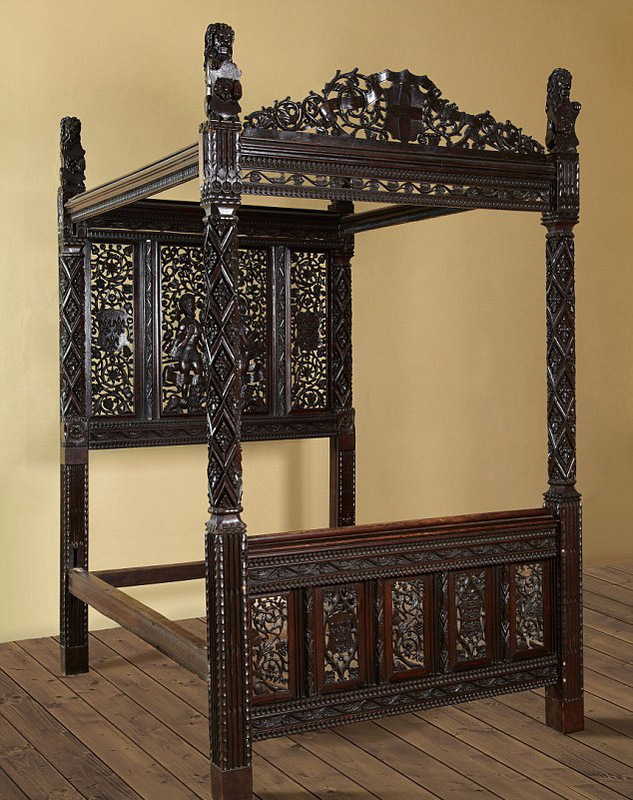 Constructed in the 15th-century and serving as the wedding bed for Henry VII and Elizabeth of York in a marriage that celebrated the end of the War of the Roses, an ornately-carved four post bed has recently been rediscovered. In the 500-plus years since it’s royal service, the bed spent much of its recent time in the honeymoon suite of a hotel. They decided to toss out the bed, but it was snatched up by an antique dealer who uncovered the bed’s origins. 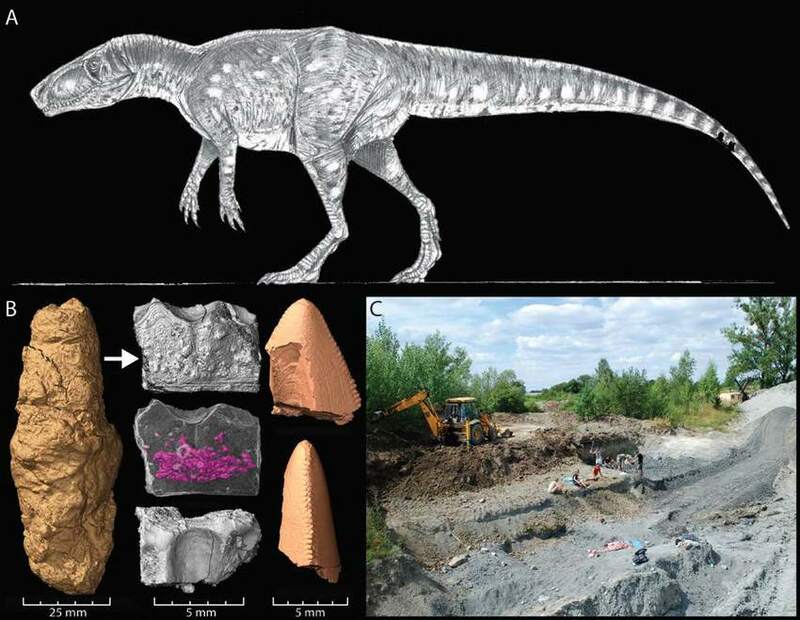 After studying the fossilized dinosaur droppings—known as coprolite—of the Smok wawelski dinosaur, scientists determined that it regularly dined on bones and its own teeth. Roaming what is now Europe 210 million years ago, this T. Rex-like apex predator had serrated teeth that helped it gobble up every bit of its prey, bones and all. The dinosaur crushed the bones into bite-sized pieces, sometimes losing a few teeth of its own in the process. Seemingly unphased, what the giant lizard couldn’t digest simply passed through its digestive system. Artistic life reconstruction of Smok wawelski made by Jakub Kowalski. A cat in Montana named Fluffy survived getting caught in a snow bank while temperatures dropped to a bone-chilling 8 degrees Fahrenheit. A cat’s body temperature normally sits around 101 degrees, but when Fluffy arrived at the vet office, her body didn’t even register on the thermometer. With fur matted in ice the cat was frozen solid. After hours in the ER, however, the kitten thawed out and was able to make a full recovery! It’s that time of year again, and if you feel like you’ve considered getting your significant other everything under the sun, think again. 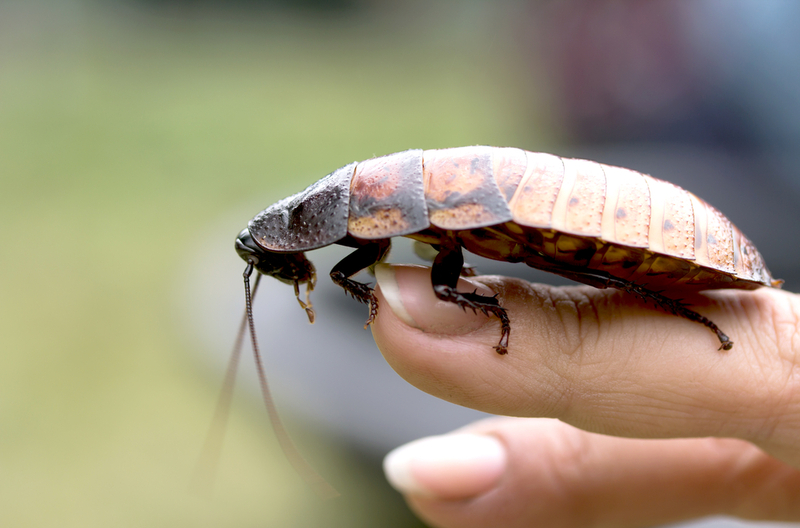 The Bronx Zoo is continuing its tradition of offering up hissing cockroach adoptions. They’ll let you name a roach in honor of your loved one, and even throw in some Valentine’s swag. If you’re not feeling romantic, the El Paso Zoo is offering to let people name cockroaches after their exes, and then feed the insects to the zoo’s meerkats.